Medical malpractice, or negligence due to a substandard procedure or care from a medical professional that results or injury or death, is an unfortunately common occurrence. But, many people aren’t aware that they’ve been a victim of medical malpractice. Here are 4 common signs that you may have been the victim of medical malpractice. Failure to follow standard care. For any medical treatment, there is a standard procedure that your medical professional should follow. For example, if there is a common test for someone suffering your symptoms, but were diagnosed without receiving the test, your health care provider is not providing you with the necessary standard of care. If you were diagnosed without receiving any additional or follow-tests, this is also a sign of medical malpractice. Your diagnosis was delayed. A delayed diagnosis can allow your condition to progress to a point where it is no longer treatable. If your diagnosis was delayed due to any aspect of your medical care, such as lost tests or missed indicators, you may have been a victim of medical malpractice. Lack of improvement or improper treatment. For most conditions, there are a number of different treatments available, such as surgery, therapy, and pharmaceuticals. If you have shown a lack of improvement, or your condition worsens, it is the responsibility of your health care provider to alter your course of treatment. It is also possible important to determine whether you received a misdiagnosis. Lack of communication. As a patient, you have the right to be made fully aware of your treatment options throughout the time you are in the care of a medical professional. You should also be consistently informed of your condition and have any questions or concerns you might have addressed accurately and in a timely manner. If your health care provider does not answer your questions or make him or herself available for correspondence, this could be a sign of medical malpractice. Additionally, if a medical professional avoids answering specific questions or is reluctant to address particular concerns, it’s possible that they are hiding an oversight or mistake, and can be cause for suspicion. If you have any reason to believe you’ve been a victim of medical malpractice, it’s important that you gather any medical records, documentation, and other evidence that you have available and contact a medical malpractice lawyer as soon as possible. 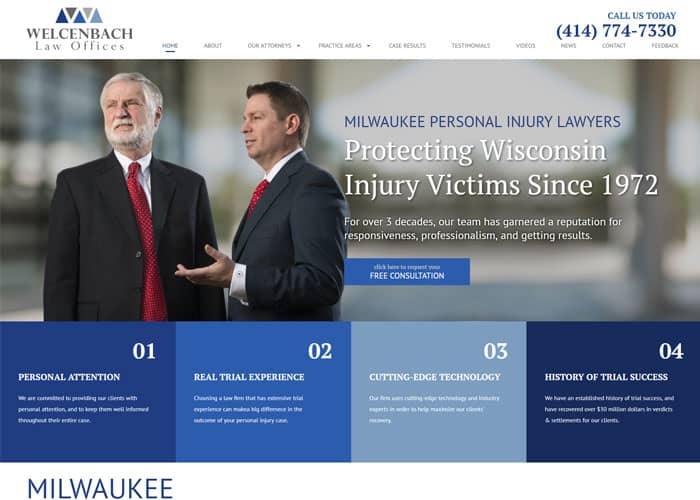 For the leading medical malpractice attorney in the Milwaukee, Wisconsin area, contact Welcenbach Law Offices today and receive a free consultation!